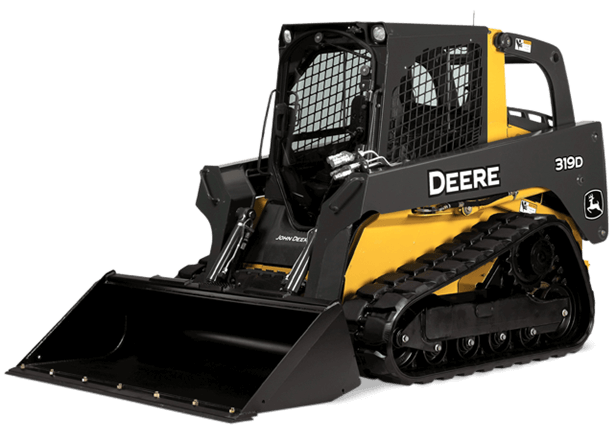 Our 319D Compact Track Loader is packed with customer-recommended enhancements such as a larger operator station, a quiet pressurized cab with best-in-class visibility, and a curved-glass swing-out door. This CTL keeps its cool with an innovative cooling system and an optional hydraulically driven variable-speed fan that reverses to clear core-clogging buildup. Sure-footed job-proven steel-reinforced tracks provide superior traction, longevity, and breakout force. Plus options such as an electrohydraulic joystick, variable boom and bucket speed settings, and more than 100 attachments that let you take on even more tasks. Packed full of best-in-class productivity and uptime-enhancing features, the 319D is destined to become an owner and operator favorite.